The London Marathon's controversial "golden bond" charity place system is to be reviewed. 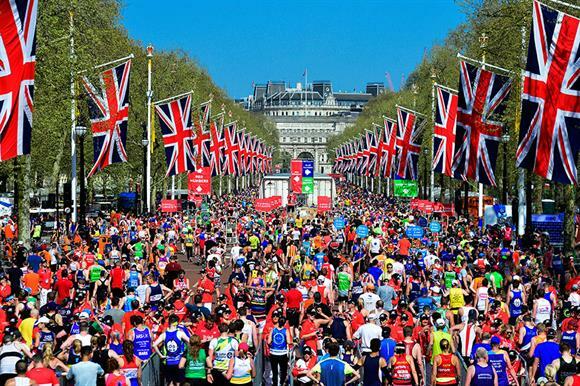 Nick Bitel, chief executive of London Marathon Events, said it was considering change, but nothing would happen for at least three years. "The bond system is at the very early stages of review, but it is a very complex situation," he said. "The earliest time any changes could come into effect would be for the 2022 race and it would take another five years for any changes to be fully implemented." Under the existing system, which began in 1993, each golden bond provides five places for five years and can be renewed forever. About 700 charities hold golden bonds. Another 550 charities hold silver bonds, which entitle them to one place every five years and 500 charities win places in a ballot each year. Some charities have more than 100 golden bonds, making it their biggest fundraising day of the year because the average sum raised by a bondholder is more than £2,600. But it is almost impossible for charities without golden bonds to get hold of any. The waiting list has been closed for nearly 20 years, which has generated criticism and led to stories of charity places being exchanged on the black market. Bitel said the majority of charities that had golden bonds were smaller charities and "we have to consider very carefully any potential impact on them". He said: "We fully understand the eagerness of newer charities to have the opportunity to become involved in the golden bond scheme. "It is why we introduced the charity ballot in 2015, which enables hundreds of charities without places to access them." David Bedford, the former race director, robustly defended the bond system during his time in charge. In 2007 he told Third Sector that moving to an evenly-allocated system "would completely ruin the charity fundraising market and put at risk our status as the largest annual charity fundraising event in the world", and that the existing rules for bonds would "go on forever". Bedford stepped down as race director in 2012 and relinquished his role as a consultant in November last year. A spokesman for London Marathon Events said today: "We keep all aspects of all our events constantly under review." The marathon, which takes place this year on 28 April, raised £63.7m for charity last year. Since the first event in 1981, it has generated more than £955m for charities. The London Marathon: A reward for loyalty, or entrenched unfairness?